These Personalised Large Reflective Tote Bags are made from durable Nylon 210D and supplied in 5 vibrant colours, Blue, Yellow, Red, Silver and Black. 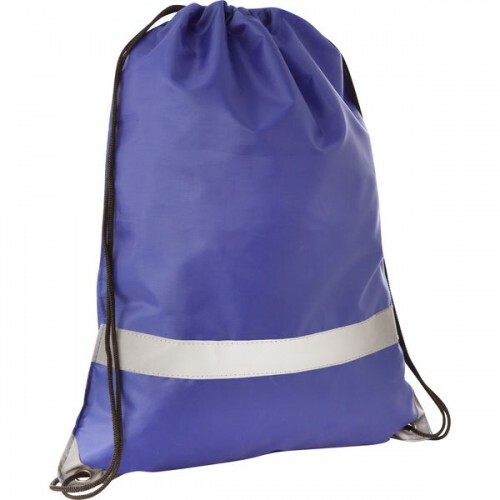 These branded drawstring bags have a reflective stripe and contrasting reinforcements at the corners, making it an ideal product for school safety or sports campaigns. You will easily be able to promote your brand with these highly useful sport bags at a very reasonable price. Dimensions: 343mm x 450mm. Print area: Front & Back 200mm x 200mm.